One of my favourite Vancouver date night activities with my husband is a dinner and a show, which is why I’m so excited to partner with the Jessie Awards this year to bring you monthly theatre listings. The Jessie Richardson Theatre Awards are an annual awards ceremony and party produced by the Jessie Richardson Theatre Award Society to celebrate and promote the outstanding achievements of the Vancouver Professional Theatre Community. 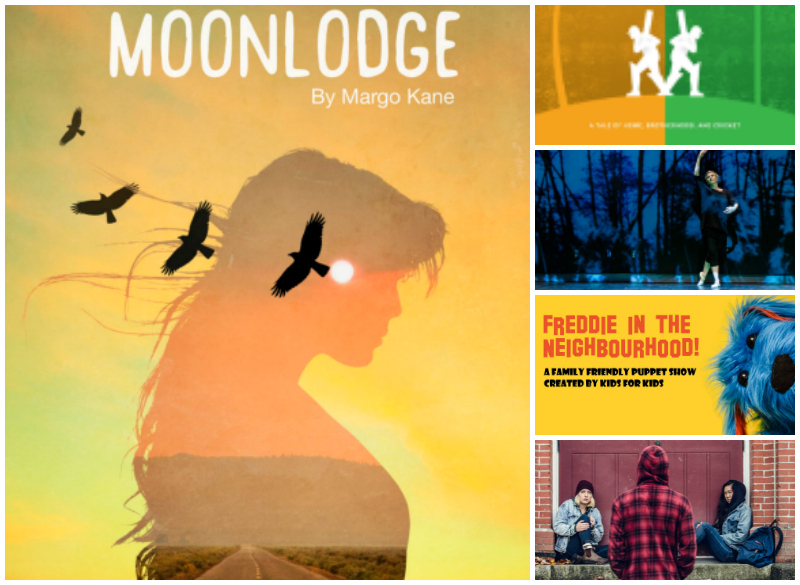 Moonlodge (premiere: Native Earth, Toronto, 1990; toured Australia, 1997) evolved from a piece of oral storytelling into Kane’s first written script. The play explores the traumas suffered by young natives forcibly removed to residential schools, and possible ways of healing. When Abdul’s cricket team decides to take action to end their losing streak, they talk of recruiting Abdul’s brother, Hasan, who is an expert at the sport. But bringing Hasan from India to Canada will take more than just a plane ticket, and not all members of the team agree with the high cost. Follow this heartwarming story of how home can be found in sport and unite family across nations. Alone Together tells the story of sisters Jess and Cara, ages 15 and 16, who have recently run away from an unpredictable and increasingly frightening home-life. Facing challenges beyond any they anticipated, the girls begin to realize that a life on the streets may not be a long-term solution, but the question remains, which environment poses the greater threat – the one they left behind, or the one that lies ahead? Alone Together is a moving portrait of the difficult choices youth in crisis are often presented with. Join Freddie the dog on a great adventure through his neighbourhood – making friends, discovering new abilities, and learning to be brave. This family friendly puppet show, using muppet-style hand puppets and shadow puppetry, was created with the direction of Grade 3 students at Mount Pleasant Elementary School. Follow the Jessies on Facebook and Twitter for more information about theatre in Vancouver. It my not be eligible for Jessies, but Studio 58 also offers fantastic theatre for bargain basement prices. Coming up in February is 42nd Street, the quintessential musical comedy classic. On stage Feb 2 – 26. I’d be very happy to offer a pair of tickets for a giveaway. My office # is 604.323.5652. I’ll high 5 my friend Sherry above and say the the UBC Theatre program – while not eligible for Jessies – also has a magnificent show on that just got a rave in the Straight. “Love & Information” is a tremendous production of this play by one of our greatest living playwrights Caryl Churchill. Wed to Sat till Feb 4, 7:30 Curtain, Frederic Wood Theatre UBC. Students $11.50/Sr $16.50/Reg $24.50. We’d also be happy to offer a pair of tix to give away!